Malgorzata Chmielewska, a Polish nun, is the founder of a project that provides shelter and respect for homeless women and their families. Her program seeks to reintegrate them into society and to increase public sensitivity to patterns that push some citizens to the fringes of the society. As in other countries, jobs in Poland constitute people’s main access to shelter. A closed business and lost livelihoods for the employees are a chain of events that for some end in homelessness. The totalitarian system has been a factor in this process in Poland: in the past jobs were guaranteed by the state, which supported economically weak ventures “from above,” often through everlasting government subsidies. Transformation toward a market economy brought bankruptcies and unemployment; many were unprepared to survive alone in the new, competitive society and the numbers of people who could no longer maintain their homes have grown. She has created a system of houses in Poland, providing a full set of options for battered and homeless women and mothers, and some men. Her foundation created a scholarship fund based on private donations to support the education of youth from the poorest families, which provides support for more than 500 students every year. In the first half of 2014 alone they took 637 homeless, including 26 chilldren, and put them into their own shelters. The adults are supported by a social economy enterprise where they find employment. Her foundation provides also material assistance to families in extremely difficult situations. Malgorzata Chmielewska has approached the problem of homelessness in Poland by concentrating on women, whom she sees as being the most vulnerable because they have fewer resources available to them than do homeless men. She also differentiates among different types of homelessness and has developed a more comprehensive set of services than has existed previously in Poland. Her concept of care seeks to avoid making those who need help dependent on the helper. The most complex part of her program is a house where the inhabitants create a self–supporting community. This group includes not only women but also men and families as well. 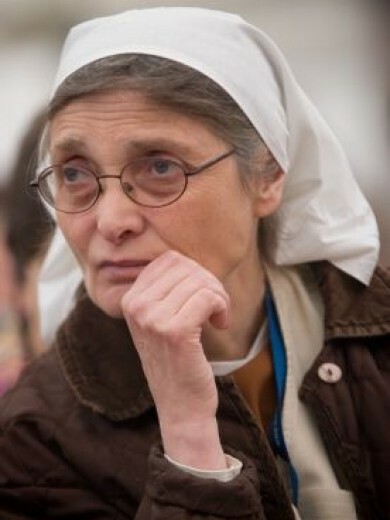 Sister Malgorzata, as she is widely known, has demonstrated a lifelong commitment to people on the margins of society and her ultimate goal is to bring them back into society, with a home, work and hope. Her program works to build acommunity base both among the homeless, who develop self–sufficiency as a group and within the larger community. Next step is to create a space to live for slightly mentally disabledand integrate them into our lives. Both of Sister Malgorzata’s parents transmitted charitable values to her. After completing an academic program through a master’s degree, she chose to help the weakest members of society as her way of opposing the Communist regime, which denied poverty. She worked in a school for blind children, cared for women in prison and was also employed as a blue collar worker. Soon after, she joined an international Christian community that is based in France, the “Pain de Vie” (Bread of Life), whose values are crucial in all her undertakings.”We solve everyday problems according to Christian values,” says Sister Malgorzata.